As chairman of the Medical Acupuncture for Physicians course, I would like to tell you why my teaching colleagues and I think that this program is the finest learning opportunity for physicians to acquire the knowledge and skill of this new discipline. I am speaking from the perspective of forty years of full-time acupuncture practice and teaching experience. During this time, my colleagues in the Helms Medical Institute and I have had the privilege and pleasure to constantly revise and refine our program. We are satisfied that we have created the gold standard in physician acupuncture training. Medical Acupuncture for Physicians is the oldest coordinated training program in acupuncture for physicians in North America. The curriculum was developed and tested in 1978 and 1979, and the full program was inaugurated as a 200 CME credits activity in 1980. A decade later it was accredited for 300 CME credits to more accurately reflect the work involved. It is the only fully comprehensive and integrated acupuncture training developed for physicians in North America. The program is comprehensive in that its teaching content is not restricted to one school of acupuncture theory and practice. 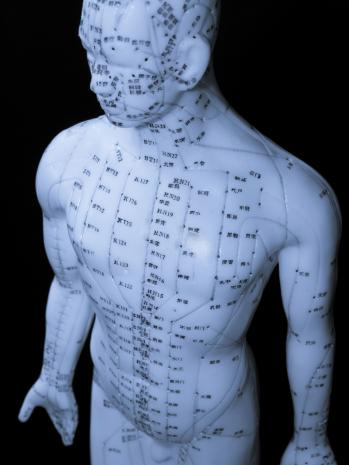 The teaching approach is grounded in contemporary Western medicine and bioscience, yet addresses the full tradition of acupuncture as derived from classical Asian texts. All major disciplines of acupuncture that have practical clinical value are represented in the program, from pragmatic neuroanatomical treatments for chronic pain to elegant energetic treatments for functional and internal medicine problems. Why this course and not one of the others? This is a question often asked by prospective course participants. The most succinct answer is integrity. We are dedicated to ensuring that every student completing the course is competent in this new discipline and ready to incorporate it into practice. There is no other course in the country that invests as much attention and energy in each student. The HMI Medical Acupuncture for Physicians course is the oldest and most respected physician acupuncture training program in the United States. Teaching starts from the biomedical foundations familiar to all physicians and progressively incorporates tenets from classical Chinese texts and the clinical tradition of acupuncture. The course content is comprehensive and integrated. It systematically embraces all major approaches to acupuncture and emphasizes the incorporation of medical acupuncture into contemporary professional practice. All instructors and clinical preceptors are qualified through the Helms Medical Institute. Their teamwork creates a dynamic and compassionate learning environment unlike any other medical training you have undertaken. Each step in learning is anchored to pragmatic applications and realistic clinical situations seen in primary care and pain management practices. We enjoy teaching, and we want our students to enjoy learning. The format of the program is convenient for the busy practitioner wanting to assimilate a new discipline: three live sessions with home study; reinforced multimedia learning with lecture, reading, video demonstration, supervised hands-on, and direct patient contact. Intermediate and advanced clinical programs are offered regularly by Helms Medical Institute to graduates of this basic program.